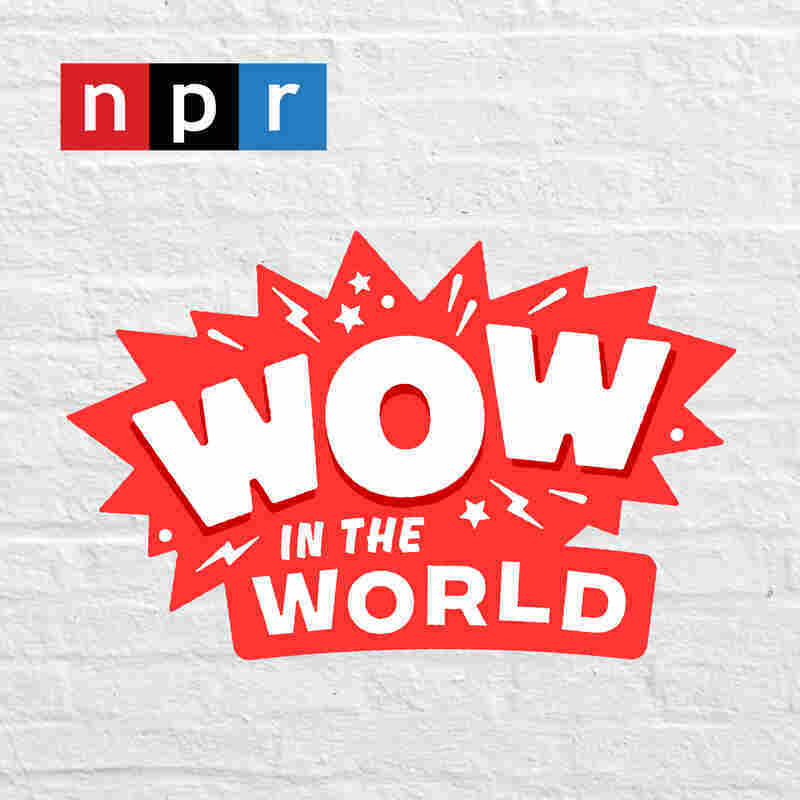 Wow in the World Hosts Mindy Thomas and Guy Raz guide curious kids and their grown-ups on a journey into the wonders of the world around them. We'll go inside our brains, out into space and deep into the coolest new stories in science and technology. Hosts Mindy Thomas and Guy Raz guide curious kids and their grown-ups on a journey into the wonders of the world around them. We'll go inside our brains, out into space and deep into the coolest new stories in science and technology. 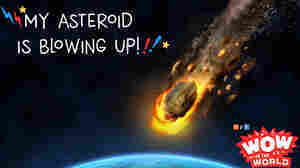 MY ASTEROID IS BLOWING UP! April 15, 2019 • Imagine a giant asteroid is out in space and headed on a collision course with planet Earth. Your mission, is to annihilate this giant mass of space rock before it can even get close. What do you do? How do you do it? Join Mindy and Guy Raz as they travel through time and space to the asteroid belt for a little experiment of their own! It's the Who, What, When, Where, Why, How, and Wow in the World of Planetary Defense! 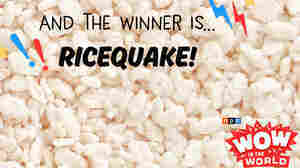 April 8, 2019 • You might think that rice krispies belong in the kitchen, but as Guy Raz and Mindy find out at the Annual Nom Nom Foodie Awards, they also belong on the big screen and in the lab! Join Mindy and Guy Raz as they discover what the average bowl of cereal can tell us about the structural integrity of antarctic ice shelves! April 1, 2019 • What do humans, bottlenose dolphins, and the singing mice of the Costa Rican cloud forests have in common? Well according to a new scientific study, we all share the power of singing...in duets! But why?! And how?! Join Mindy, Guy Raz, and Reggie, as they visit these singing mice on their live concert tour, and witness this vocal turn taking with their eyes and ears! 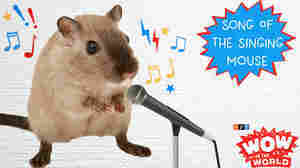 It's the Who, What, When, Where, Why, How and Wow in the World of Singing Mice and the brains behind musical conversation! 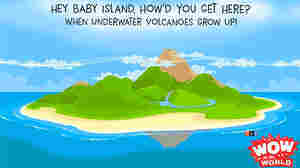 Hey Baby Island, How'd You Get Here? - When Underwater Volcanoes Grow UP! March 25, 2019 • If you could take one item to a desert island what would it be? A pacifier? A rattle? How about a diaper? Well that might be just what you need if you're visiting an itty bitty baby island! Join Mindy and Guy Raz as they take the Wow Machine out to the middle of the Pacific Ocean to visit the youngest volcanic island on the planet! It's the Who, What, When, Where, Why, How, and Wow in the World of VOLCANIC ISLANDS! 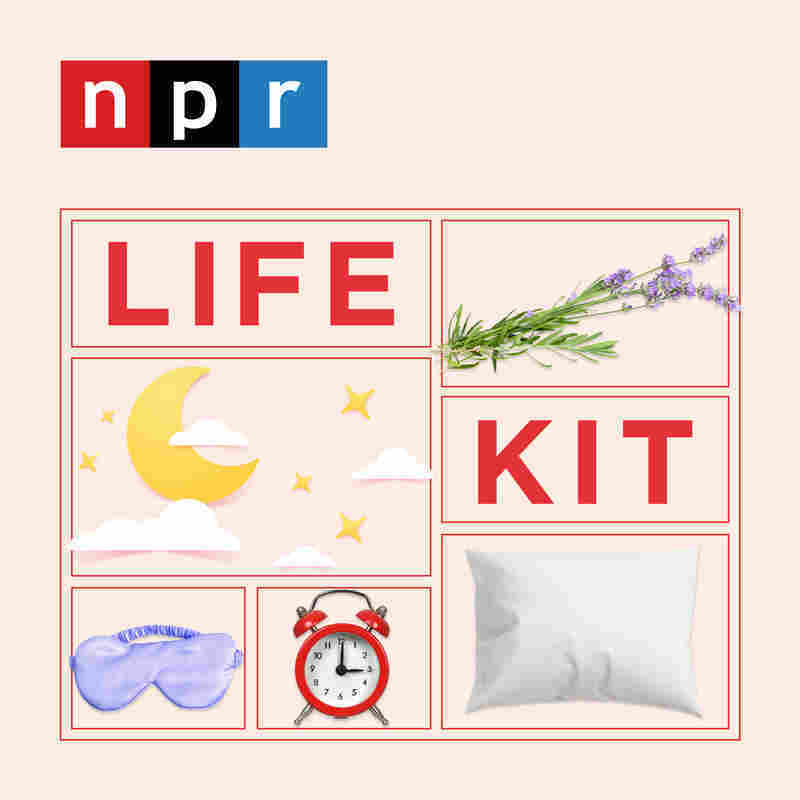 March 18, 2019 • Guy Raz and his horse Bucky just got back from a frustrating riding lesson. Mindy is on the roof of her gingerbread mansion dressed as a horsefly. And Dennis is, well....just being Dennis. 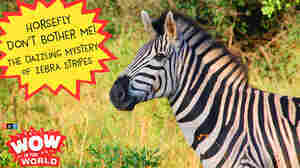 And before this episode is over, YOU will know the newly discovered reason behind why Zebras have stripes! Prepare to be DAZZLED as Guy Raz and Mindy explore the Who, What, When, Where, Why, How, and Wow in the World of Zebra Stripes! Bored Out Of Your Bonkerballs? - Why Having Nothing To Do Can Be Good For You! March 11, 2019 • Bored out of your bonkerballs with nothing to do? Turns out, being bored can be good for you! A new study from the United Kingdom suggests that periods of boredom are crucial for anyone looking to get their creativity on! Join Mindy and Guy Raz for the Paint Drying World Championships, and a mind-numbing fact-finding visit to the "Institute of Boredom!" It's the Who, What, When, Where, Why, How, and Wow in the World of BOREDOM! March 4, 2019 • What in the world is a Fibonacci Sequence? Where in the world can you spot one in the wild? And why in the world is that BEE adding and subtracting at the lightening speed of a child?! 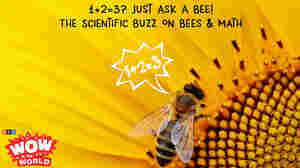 Join Guy Raz and Mindy as they explore the latest scientific buzz on bees and their newly discovered ability to do...MATH! It's the Who, What, When, Where, Why, How, and Wow in the world of BEE BRAINS! February 25, 2019 • Do you have a face so cute that people want to pinch your cheeks? Does the sight of a baby piglet snuggling up to a newborn baby make you want to kick down a door and run away screaming? Have you ever uttered the words, "You're so cute I could EAT YOU UP!?" Well then you may suffer from a scientific phenomenon known as "Cute Aggression." And in this episode, Mindy and Guy Raz take you through a recent scientific study that explores what causes it, and why? It's the latest Who, What, When, Where, Why, How, and Wow in the World of an overwhelming overload of CUTENESS! Heeeere Foodie Foodie Foodie! 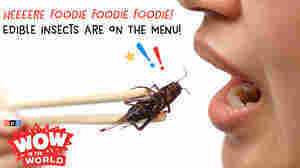 - Edible Insects Are On The Menu! February 18, 2019 • It's that time of year! The annual public radio food truck festival! Mindy has slapped a new logo on her dilapidated ice cream truck and joins in the festivities with a new twist on Gramma G-Force's famous "Sloppy G's!" But what is this new twist? And why does it have Guy Raz feeling squeamish and squirming? Find out as these two explore the latest Who, What, When, Where, Why, How, and Wow in the World of EDIBLE INSECTS! February 11, 2019 • 80 years old? 100 years old? 400 years old?! Some animals live for a really long time, which means that things are getting pretty crowded at Reggie's parent's retirement farm! Join Guy Raz, Mindy, and Reggie, as they fly on down to Florida, to investigate how some of these wild octogenarians are able to keep on kickin' for so long! 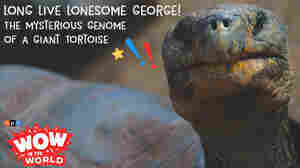 It's the latest Who, What, When, Where, Why, How, and Wow in the World of aging in the animal kingdom!